But will it be announced at WWDC 2018 next week? The rumored iPhone SE 2 is the one new iPhone that has a remote chance of being announced at Apple's WWDC 2018 keynote on Monday, and a new leak is giving us hope. 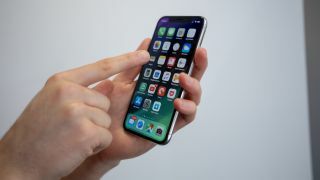 It's being outed by a new screen protector that has an updated all-screen design and a notch cutout at the top, according to hit-and-miss leaker Sonny Dickson. This would give the iPhone SE 2 design a refreshed look for 2018, one that's in line with last year's all-screen iPhone X, but at a smaller, one-hand-friendly size. Apple's flagship iPhone X2, iPhone X Plus, and LCD iPhone 9 are still expected to be on track for September. Yes, that means possibly four new iPhones in one year. iPhone SE 2: If and when? The problem with this leak is that it's easy to fabricate. You can easily shrink down a plastic screen protector and instantly manufacture buzz around the iPhone SE 2. And a sequel to the original iPhone SE is long-rumored and has never materialized. The SE came out in March 2016, and every event since has yet to produce an update. The WWDC 2018 keynote is expected to be a very software-focused, with a first look at iOS 12, macOS 10.14, and watchOS 5, and without new MacBooks and iPad Pros. This iPhone SE 2 leak, if true, is a good sign that Apple is working on a new version of its smallest still-on-sale iPhone. Whether or not it makes a surprise appearance at WWDC next week is news that will have to wait until Monday.